Jeppesen’s new C-MAP MAX-N Wide cartography, designed for popular navigation systems from global marine electronics leader Navico, is now available to boaters worldwide through the Navico Insight Store and Jeppesen authorized dealers. MAX-N Wide is compatible with Lowrance Elite 7 and HDS Gen1, Gen2 and Gen2Touch; Simrad NSS, NSE and NSO and B&G Zeus Touch Multifunction Navigators. 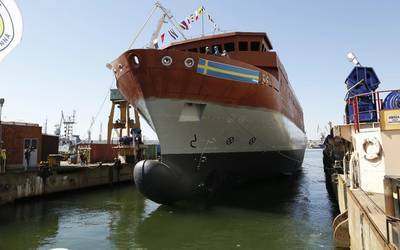 These navigation systems have are used across a spectrum of boaters, including fishermen, cruisers and sailors, and the launch of MAX-N Wide will give users access to Jeppesen’s worldwide chart database and features. 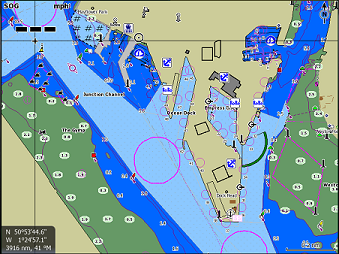 C-MAP MAX-N Wide gives Navico customers access to Jeppesen’s chart detail from official and up-to-date sources, including depth areas and contours,spot soundings, NavAids, light sectors, wrecks/obstructions, anchorage areas, small craft facilities and more. MAX-N Wide also provides clearly marked boundaries for restricted, caution, fishing and prohibited areas —including California’s expanding network of Marine Protected Areas (MPAs). MAX-N Wide will also offer access to upcoming navigation features, such as auto/easy routing; route checking and guardian (anti-grounding) technology for safer navigation; exclusive Jeppesen high-resolution bathymetry for unparalleled presentation of bottom contour; dynamic tides and current projections for enhanced fishing and safe, efficient navigation; high resolution aerial photos of inlets, harbor entrances and land features for improved situational awareness and marina facility information. 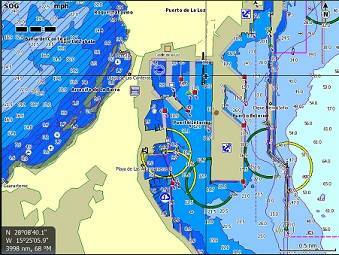 In partnership with Navico, Jeppesen will continue to add new data layers and exclusive navigation features. 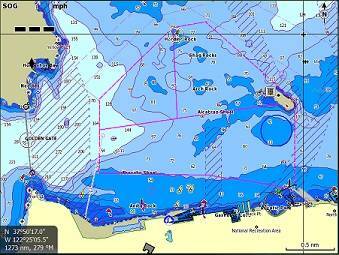 Lowrance, Simrad and B&G customers who purchase MAX-N will benefit from an upgrade path to product enhancements coming in 2014, Jeppesen said. It is recommended that boaters check to ensure they have the latest software version with Lowrance, Simrad or B&G to guarantee full compatibility with C-MAP MAX-N.
MAX-N Wide charts deliver large coverage areas based on Jeppesen’s popular MAX Wide chart titles and will retail for a special introductory price of $179 until Dec. 31, 2013. Beginning in 2014, the full retail price will be $199.